Myntra Website Will Be Shut On May 1st, 2015! As we reported (read the text below) in early March, Myntra has now decided to shut down their website completely and the day for the same is May 1st, 2015. So, going forward Myntra customers can make their purchases only on the Mobile app and no where else. With this development, Myntra has become one of the only major retailer to have mobile-only strategy. The signs of this were quite visible over past few months. While many feel that this is an absurd move, given that India is a Mobile-First country in many respects and especially internet, this move might help Myntra focus all their energies on Mobile strategy, bringing down their costs. If this experiment goes down well, even Flipkart, the parent company of Myntra, may go mobile-only way. They have already shut down their mobile website, where if you visit Flipkart through mobile, you will be forced to download their app. According to ToI report, Myntra has planned a huge 360 degree marketing and advertising campaign to announce their mobile-only strategy. If the first phase of mobile revolution was the adoption of smartphone from feature phone and the introduction of mobile apps and mobile Internet, then the second phase of mobile revolution is about to begin. 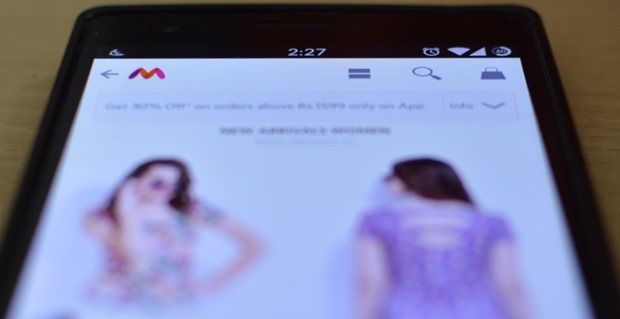 Myntra.com, India’s top online fashion retail and marketplace has announced that they will soon ditch their website all together and focus only on their mobile app, as 90% of their traffic is mobile and 80% of their sale results from their mobile apps. Last month, Mukesh Bansal, co-founder of Myntra said during an interview that they are planning to close down their website by the end of year, and focus solely on mobile app based ecommerce platform. Myntra + Flipkart recently crossed grossed $1 billion+ (Rs 6200 crore) revenue of fashion and accessories products, and this can be stated as a major step. No other online retailer has gone so far in embracing mobile based platform, and this is the reason this step can be termed as the 2nd phase of mobile revolution. Individually, Myntra is clocking Rs 2000 crore worth of fashion sales, with monthly sale of Rs 300 crore. Yesterday, in a separate press release, Myntra announced that 90% of their traffic is now purely mobile app based, with 85% of traffic originating from Android, iOS and Windows platform. Interestingly, 50% of all traffic is coming from Tier 2 and Tier 3 towns. 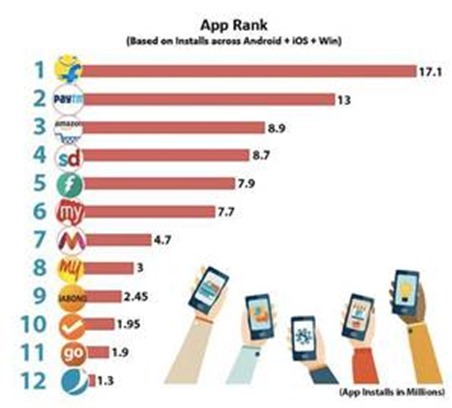 Myntra launched their mobile app 9 months ago, in May, 2014 and within this short span, they have become the most downloaded mobile app for fashion niche. 27%-30% of all orders received on Jabong is mobile based, and 62% of them are coming in from Tier 2 and Tier 3 cities. Last month, we had shared the reasons which are driving mobile ecommerce in India; in January, we had reported how mobile shopping will constitute 65% of all online sales in 2015. Cisco has reported that by 2019, India will have 651 million smartphone users and mobile Internet will result in 13 fold increase compared to 2014. In October 2013, global mobile users equaled world population for the first time in history and in 2012, we had predicted that mobile Internet will soon surpass PC Internet usage! Please share your views on the m-commerce revolution which India is witnessing right now: Will future ecommerce companies would be purely based on mobile? What a poor decision. The appeal and usability of a website can never be fulfilled by an app. Good luck to Myntra. I’ll buy from Jabong! !